This character, to Fulcanelli, is the wise old man of the Hermetic tradition, Hermes Trismegistus, the Thrice Great. He is turn looks back/aside to the Greek god Hermes, of endlessly rich and subtly wise character. Why does this matter? Because the Hermetic way can be a third way, an alternative and powerful course of inner inquiry for the contemporary soul. 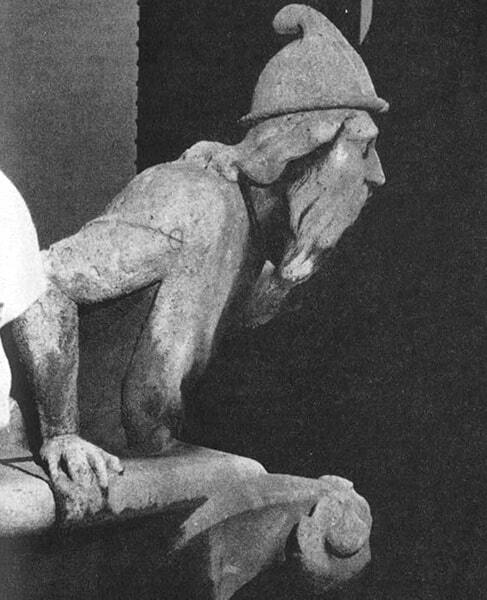 … So wrote Kerényi, a great investigator of the Greek gods, in a letter to Thomas Mann. I plan to write more on Hermes, on Hermes Trismegistus, and on the Hermetic tradition in general, in future articles.